[PDF] Scottish Literacy and the Scottish Identity: Illiteracy and Society in Scotland and Northern England, 1600-1800 (Cambridge Studies in Population, Economy and Society in Past Time) | Free eBooks Download - EBOOKEE! Description: Scottish education and literacy have achieved a legendary status. A campaign promoted by church and state between 1560 and 1696 is said to have produced the most literate population in the early modern world. This book sets out to test this belief by comparing the ability to read and write in Scotland with northern England in particular and with Europe and North America in general. 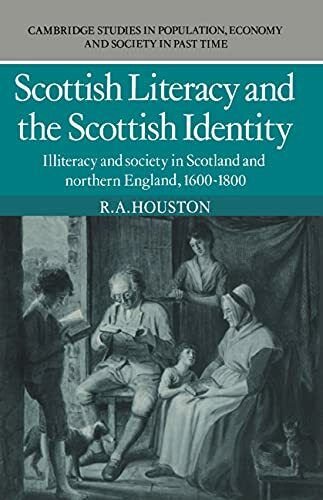 2010-02-17"Scottish Literacy and the Scottish Identity: Illiteracy and Society in Scotland and Northern England, 1600-1800"
No comments for "[PDF] Scottish Literacy and the Scottish Identity: Illiteracy and Society in Scotland and Northern England, 1600-1800 (Cambridge Studies in Population, Economy and Society in Past Time)".